HONOLULU (HawaiiNewsNow) - Gov. 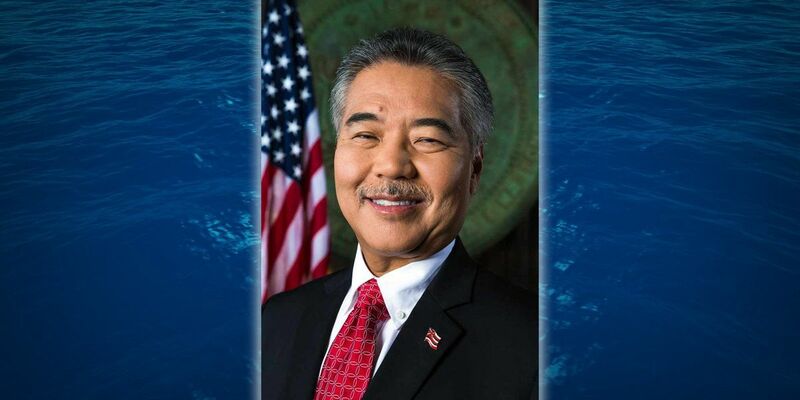 David Ige yesterday signed an emergency proclamation in anticipation of the arrival of Tropical Storm Kilo in Hawaii. The storm's strength and track is highly uncertain at this time, but National Weather Service (NWS) forecasts show a potential impact to the state sometime early next week. The proclamation activates the Major Disaster Fund set aside by the Legislature for disaster relief for the entire state. It also allows easier access to emergency resources at the state and federal levels, along with the ability to suspend certain laws as needed for emergency purposes. "As we prepare for any impacts Kilo may bring to our state, coordination amongst local, state and federal emergency management partners is ongoing and will continue with the support and collaboration of Gov. Ige through the weekend," said Doug Mayne, Administrator of Emergency Management. "We strongly encourage the public to take advantage of the weekend to prepare their homes and families as this aggressively active hurricane season continues." Talk with family members about what you plan to do if a hurricane or tropical storm impacts the state. Make an action plan that includes details such as whether or not your family plans to evacuate. Download the Ready Hawaii app from the iTunes or Google Play! store. This app can aid in your emergency planning and will list shelters if they are opened for evacuation. Download our preparedness brochure at http://www.scd.hawaii.gov/docs/SCD_PrepareBrochure.pdf for detailed recommendations and other resources. Prepare your pets by checking or purchasing a carrier and other preparedness items. A pet carrier is necessary for your pet’s safety if you plan to evacuate to a pet-friendly shelter. Don’t forget seven days of food and water for your furry family members.